The Healthy Boy: How Much Sugar Is in Soda? You wouldn't eat this many packets of sugar, so why would you drink them? Full sugar soda's are a leading cause of obesity around the world and the main culprit for childhood obesity and diabetes. Sugar, and it's cheaper bi-product high fructose corn syrup are extremely damaging to your body when consumed on a frequent basis. 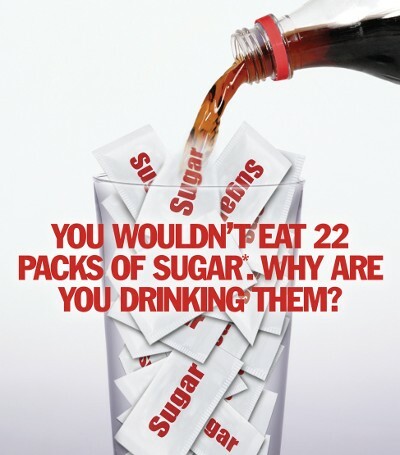 If you are a soda drinker, replace your sugary sodas with iced-tea (unsweetened) and water and you will be well on the path to a healthier and happier you.